I’m back! 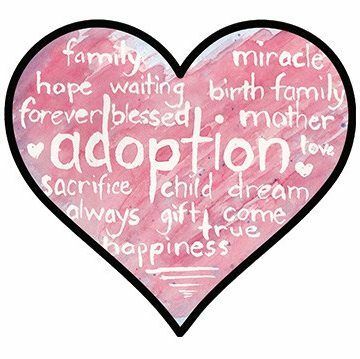 After a month off while we revamped my website, I am back to blogging again–just in time for National Adoption Month. There are 130 million orphans. Their names are Alex and Drake and John and Maria and Laura and Jenny. They are white, brown, black; infant, toddler, adolescent, and teen. Some come from absolute poverty and have never known a loving touch. Others are stuck in “the system,” pushed from one home to another–misunderstood and hard to love. Some are “traditional” orphans, having lost both of their parents. Some come from a single-parent home. Others have living parents who just couldn’t or wouldn’t keep them. This summer and fall, we had the privilege to know and love ten additional orphans–some are still stuck in the system and may never see their family again. Others were adopted. And we are fighting for one family to have their children returned home. Orphan care isn’t easy. It’s not the beautiful story you see on the Hallmark channel. It’s not the happy ending that Disney promises. It’s messy. It’s ugly. Some days, it’s downright despicable. And it is absolutely, completely, totally worth it. maintain the right of the afflicted and the destitute–Ps. 82:3. There are 130 million orphans. I can’t say those numbers enough. They repulse me. They alarm me. They overwhelm me. And I hope you feel the same way. What can one person do? 1. Feed and clothe them. It’s the time of year when many families are cleaning out the clutter and getting ready for the holiday gifts. Many people simply drop off their items at Goodwill or some other local consignment store. But in my area, there is a foster care support group that accepts donations for kids coming into care. Can you find a similar program in your area? Or can you give to your local foster care program? While many will have the joy of gathering around feasts with their family and friends, there are many children and teenagers who will have no one inviting them to their table. Can you take just one child in over the holidays and treat them as a member of your family? Can you provide a meal to a new adoptive family or foster family? Religion that is pure and undefiled before God the Father is this: to visit orphans and widows in their affliction, and to keep oneself unstained from the world–Jas. 1:27. You may already be donating to orphans; and if you are, then keep up the good work! But have you ever walked a day in their shoes? Have you gone to their home to see what it’s like there for them? A team from our church spent over a week in an orphanage in South Africa, and another friend of mine led a team to Ethiopia. When they returned, their hearts and minds were forever changed because they got up-close and personal. No longer are those children part of the 130 million. Now they know them by name, and these children are real to them. Maybe you can’t take a mission trip across the world, but you can get involved with your local children’s home. You can volunteer for the after-school programs. You can mentor a troubled youth. There is something you can do to get involved in these children’s lives. plead the widow’s cause–Isa. 1:17. Children do not know how to defend themselves. They don’t know how to speak up when someone is harming them. The ones who haven’t known loving care are the most vulnerable because no one has taught them anything else. These children come into care unable to know how to love or how to accept love. They need us to defend them against themselves and against those who seek them harm. But these children also need advocates fighting for them within the court system. They need guardian ad litems–volunteers who will represent their best interests in court. They need caseworkers who are committed to their safety. They need teachers who refuse to turn a blind eye when something seems “off.” They need lawyers and judges who seek to find them a safe place to call home. This is the time to begin thinking about what you can do for orphan care. How can you get involved? You can’t save 130 million orphans, but you can save one. And I can save one. And the person living next door can save one. Together, we can wipe out the orphan crisis! In recognition of National Adoption Month, my new book, Why Did You Choose Me?, is now available on Amazon, Barnes and Noble, Christian Book Distributors, and Ambassador International. This is the perfect gift for this holiday season that can be read to your children over and over again! Thanks, Katie, for keeping this issue at the forefront. There is no denying the need, the opportunity and God’s mandate to do something about it.